Once you have completed your shopping on the TJ Maxx website, you'll need to enter your coupon code to collect your free shipping discount. 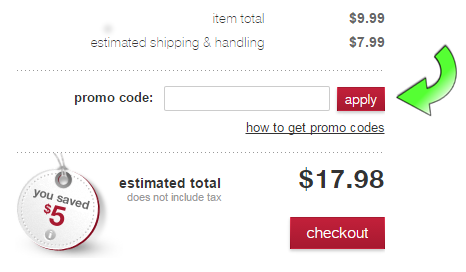 On the "My Bag" page during checkout is a box labelled "Promo Code", simply enter your code and click apply. Always verify that your discount was received before you finalize your purchase as it'll be impossible to go back and re-enter your coupon code. About Under Armour.com: Popular athletic clothing, footwear, and performance apparel for the serious athlete of any age.